Sometimes the daily grind can leave you feeling like you just want to shrug off your troubles, and head into the wild unknown. If you don’t want a volleyball named Wilson for company, perhaps you should try on an eco village for size. In recent years, tiny houses have gained traction as a panacea to a culture infested with excess. The only problem with these cute little abodes is where to put them. Zoning regulations have been a chronic thorn in the side of Tiny Housers, with some townships declaring them illegal. As is usually the case, there’s power in numbers. Tiny house communities and ecovillages tend to succeed when they’re in it together. Here are some of the most amazing ecovillages from around the globe! If you’re on the fence about relinquishing your belongings and shacking up in a dwelling the size of a matchbox, sample the tiny house lifestyle in Oregon. You can stay in a ready-built tiny house, and get the full experience of small living. If you’re into Hare Krishna, drum circles, and expanding your mind, you can always head off to Peru and join this eco-temple. 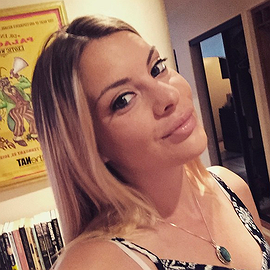 They offer yoga, guided meditation, and other stuff that appeals to the young traveller looking for a new scene. Volunteers can crash in shared dorms for $10 a night, provided they work for four hours a day. It’s West London’s best-kept secret. Back in the 1960s, an unknown singer named Mick Jagger cut his teeth on the freewheelin’ music scene of a private island on the River Thames called Eel Pie Island. 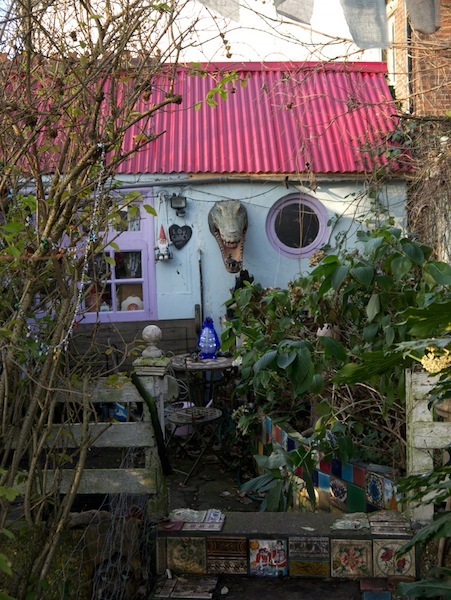 The island became a refuge for the hippies, artists, and scallywags that thumbed their noses at the old fogies of the times, and chose to turn Eel Pie into their own crafty utopia. Although Eel Pie has seen its fair share of changes since then, the island has always retained its spirited defiance of tradition. Clapboard houses are adorned with beheaded Barbie dolls, alligator heads, and pastel colors, while artists break out the mulled wine and exhibitions at Christmas. They don’t have to discuss being an eco-village. The haze of the Summer of Love lives on eternally on this little slice of heaven. 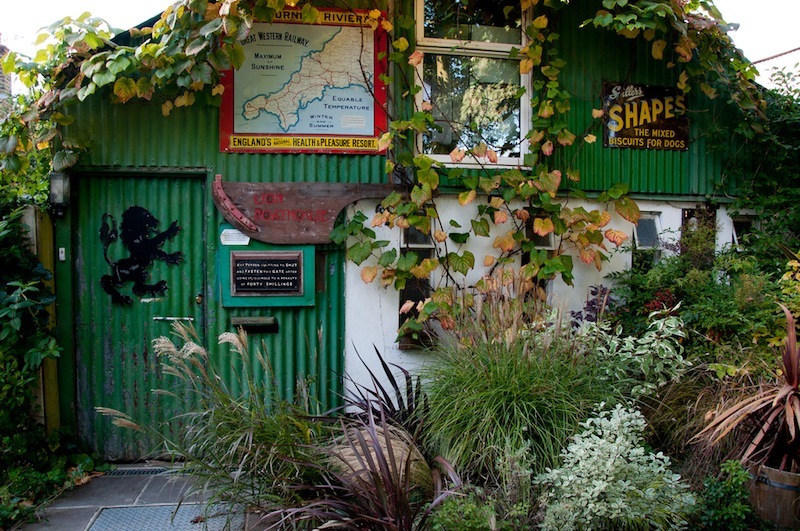 Findhorn Ecovillage has existed in Moray, Scotland since the 1960s. It’s famous for having the lowest ecological footprint out of any community measured in the Western world. The houses were created with eco-architecture, utilizing recycled materials. Findhorn is completely self-sufficient, generating its own water waste treatment center, wind farm, and food — and even its own currency. Embracing the true ethos of intentional communities, Free and Real in Greece is an open commune where guests can stay and eat in exchange for picking fruit or preparing food. It’s located in one of the most serene areas of Greece, and the community even offers silk yoga classes. Arcosanti, squashed banana! Arcosanti is the first ecovillage to explore the concept of arcology, as preached by Italian architect Paolo Soleri. Soleri believed that arcology could reduce the impact of human habitation on natural resources, and Arcosanti in Arizona was Soleri’s attempt to realize a city founded in arcology. It currently boasts gardens, a greenhouse, a camp, two apses, a community swimming pool, apartments, an amphitheatre, and an education center. Cinderland is an ecovillage in Hawai’i that was transformed from a volcanic wasteland into a lush paradise of vegetation and community living. 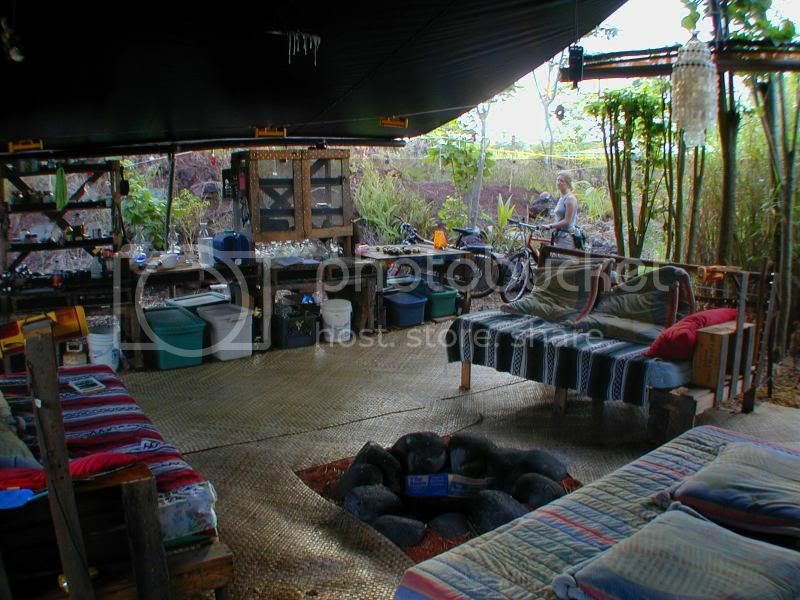 Dorms are outside and covered by tarps, but you can book a reservation at this alternative hostel and practice living off the grid — while worshipping the natural beauty of Hawai’i. We saved the best for last. 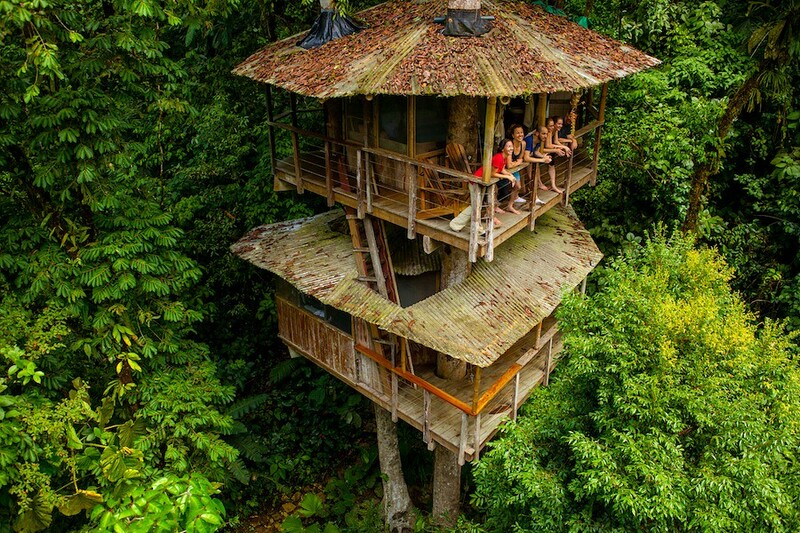 If you’re going to go anywhere, go to Costa Rica and party like an Ewok in this amazing treehouse community. Climb up a ropey ladder into the magical ceiling of the rainforest, and live off the grid while contributing to the Bellavista Initiative: a conservation fund dedicated to regenerating the rainforest, stopping illegal poaching, and helping local communities. 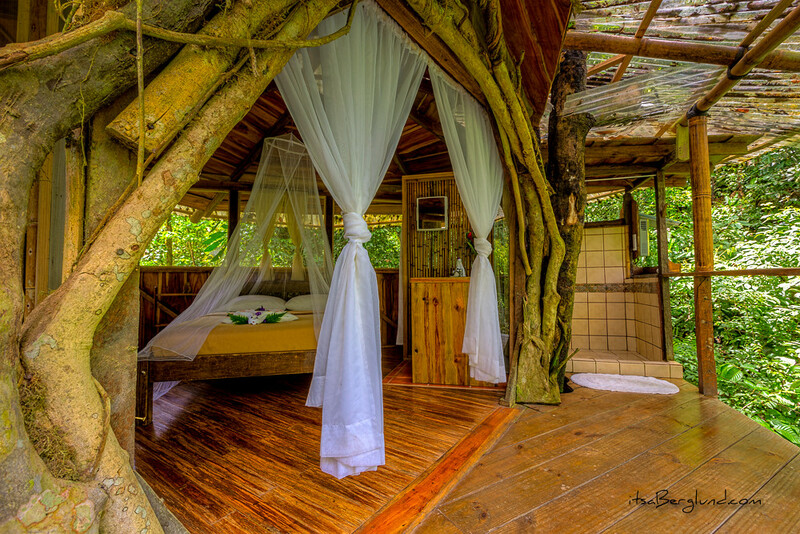 Plus, it’s Costa Rica. 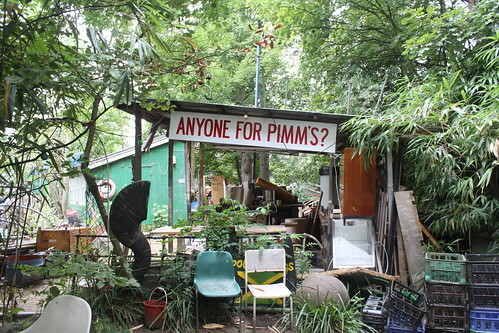 "Party like an ewok in a treehouse community."